Lauren Grabelle Herrmann did not necessarily expect to become a rabbi when she was growing up in an assimilated (but mildly affiliated) Jewish home, with a strong sense of Jewish identity and history but little connection to ritual or spirituality. The Universe had other plans. When Lauren was in high school, she joined Jewish youth group and discovered a sense of belonging and meaning that transformed the trajectory of her life. At 17, she decided–or rather felt a call– to be a rabbi. A few years later, she discovered the Reconstructionist approach to Judaism and was deeply moved by its commitment to tradition, radical egalitarianism and inclusivity, and its embrace of both particularism (Jewish pride and identity) and universalism (concern for our world, connections outside the Jewish community). Every day, Rabbi Lauren marvels at sitting in the seat of Rabbi Mordecai Kaplan, whose ideas have had a profound impact on American Judaism and whose positive formulation of Judaism in a modern world remains a model for us as we shape what the next generation of Judaism looks like. Rabbi Lauren’s rabbinate has been driven by a desire to create inclusive Jewish communities of meaning, where a sense of belonging and community commitment is palpable. Rabbi Lauren joined as SAJ’s Rabbi in 2015 and set a bold vision for the next iteration of SAJ, to make SAJ a place where the values of Life-Long Learning, Tzedek (Justice), Kehilah (Community), Arts, and Spirituality flourish and radiate out. Since her arrival, new committees and task forces have been established, services strengthened, and programming expanded to reach a wider array of people within and beyond our community. Rabbi Lauren is also actively involved with the youth and teens of SAJ, visiting Makom where possible, welcoming children into the sanctuary through events like our Community Shir and rituals markers; Rabbi Lauren also teaches our high school students and runs an annual teen trip that combines learning, play and social action/justice. Rabbi Lauren bring to SAJ her passion for Judaism and for justice and a firm belief that we cannot separate one from the other. Our Judaism informs our commitment to justice; our pursuit of justice IS a Jewish and spiritual one. Rabbi Lauren is a proud member of T’ruah: the Rabbinic call for Human Rights, the co-chair of the Rabbinic Council for JFREJ, Jews for Racial and Economic Justice. She is an active clergy member of New Sanctuary Coalition, an organization that fights for immigrants at risk for detention and deportation in NYC. Rabbi Lauren has been active champion of LGBTQ rights within and beyond the Jewish community, from her days as an intern at CBST, the world’s largest synagogue for LGBTQ individuals, family and and friends until today. In 2017, Rabbi Lauren organized the “Yes to Love, No to Hate: Interfaith Solidarity, Hope and Action” in response to the white supremacist march in Charlottesville, VA that gathered over 600 New Yorkers and brought together over 70 sponsoring organizations. In 2018, Rabbi Lauren participated in a mass mobilization and human rights mission to San Diego to support immigrants at the border. She is a proud alumni of the AJWS Global Justice Fellowship. Before coming to SAJ, Rabbi Lauren was the founder of Kol Tzedek, an inclusive, dynamic and growing synagogue in West Philadelphia. She was also a founding clergy member of POWER, Philadelphians Organized to Witness, Empower and Rebuild. 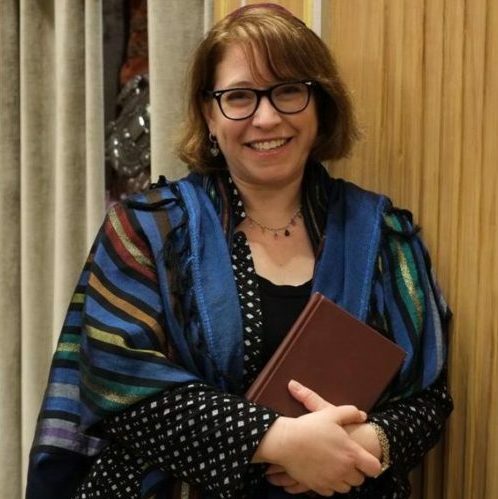 She graduated from The Reconstructionist Rabbinical College, graduating in 2006 and was the recipient of the Lillian Fern Award for Service to the Community and the Rabbi Kenneth and Aviva Berger Memorial Prize in Practical Rabbinics. She is a proud of Alumni of JOIN, the Jewish Organizing Initiative and Network and Rabbis Without Borders. Rabbi Lauren lives in NYC with her husband Jon and her children Aviel (Avi) and Nadiv.